Buy and earn 395 points valued at £3.95. 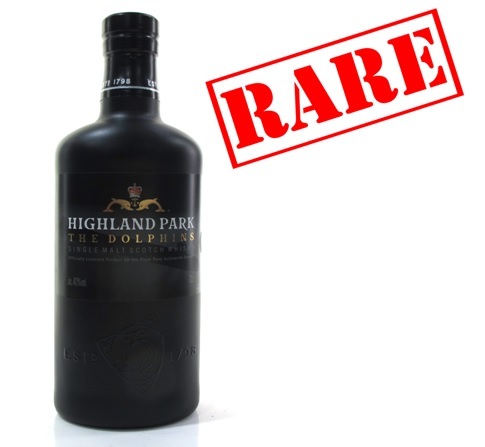 An exclusive Highland Park release, available only to staff of the Royal Navy Submarine Service. The elegant matte black bottle is designed to evoke the hull of a Submarine and the release is rumoured to be limited to 1500 bottles. A real collectors item from Orkney's Highland Park, this incredible bottle features its Dolphin badge on the label. Nose: Cinnamon and nutmeg rises, as behind this nutty hints with a helping of smoke. Palate: Layers of peat and oak combines with rich charred walnuts. Finish: Throughout is a subtle sweetness from dried fruits, and a honey hint. Helpings of peat fades into a smoky finish.